Here’s a timely bit of audio for Duke Ellington’s 113th birthday anniversary today: Duke’s appearance at the 1970 New Orleans Jazz Festival and Louisiana Heritage Fair. It was the third annual jazz festival in New Orleans, but the first that George Wein produced under the Jazz & Heritage banner, and for the occasion Ellington was commissioned to write a new work, The New Orleans Suite. The audio file from Wolfgang’s Vault includes only the suite’s opening movement, “Blues for New Orleans,” a showcase for Johnny Hodges and organist Wild Bill Davis. Ellington was notorious for completing new works minutes before deadline, but it would seem that most of the suite must have been ready at the time of the festival appearance on April 25 since its recording for Atlantic Records was completed only 18 days later on May 13. Then again, maybe not. A “second line” of New Orleanians, clarinetist Barney Bigard and bassist Wellman Braud, provided Ellington with an early and essential stylistic foundation, and trumpeter Bubber Miley, a South Carolina native, emulated another New Orleans legend, King Oliver, in developing the growling, “wah wah” brass style that became a signature element in Ellington’s tonal palette. Bechet, who’d dated Hodges’s older sister when the great reedman was playing in Boston around 1920, toured with Ellington during the band’s summer sojourns in New England in the mid-’20’s. He never recorded with Duke, but Ellington praised him as a player whose music was “all soul.” Credit New Orleans jazz, its origins and its legacy, with playing a vital and ongoing role in the imagination of Edward Kennedy Ellington. By the time a fest was presented in 1968, it was Willis Conover, the renowned jazz host of the Voice of America (and a longtime emcee at Wein’s Newport Jazz Festival), who was hired to produce it. Wein learned through the grapevine that his own marriage to an African American, Joyce Alexander, “might be a political embarrassment to [New Orleans] Mayor Schiro if [he] were given the job,” so it went to Conover. It took only two years for the festival to become mired in local politics before the New Orleans Hotel Motel Association brought in Wein to run it once and for all. The festival is now owned by the non-profit Jazz & Heritage Foundation which is chaired by Quint Davis, the New Orleans native who’s been involved with the festival since its inception under Wein. 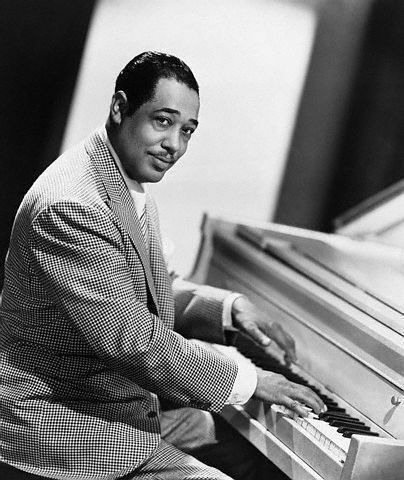 But credit the respect Duke Ellington had earned elsewhere in the world with making it necessary for New Orleans to begin getting its act together before a bonafide jazz festival would be presented in the city of its birth.